The Canadian Media Producers Association recently released its annual report on the state of screen-based media production in Canada. Despite the doomsayers who fear that the emergence of Netflix will result in less money for production in Canada, the report confirms that financing of Canadian television production continues to grow, reaching its highest point in the last five years. With $2.6 billion spent on Canadian television production, the sector remains healthy with support from licensing fees, tax credits and funding from a variety of sources. 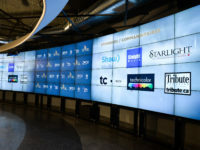 More notable, however, is the growth of English-language Canadian television production, which has been backed with a major increase of foreign funding over the past three years. Foreign financing of Canadian English-language television production now exceeds all other sources of funding, with the exception of the combination of all provincial tax credits (both represent 18% of total financing). In other words, foreign financing now contributes more toward English-language television production than the licensing fees paid by private or public broadcasters, federal tax credits, Canadian distributors, and the Canadian Media Fund.